A controversial claim that the famous ‘Wow!’ signal was produced by comets and not extraterrestrial intelligence has been met with scepticism by radio astronomers and comet experts, sparking a fresh debate about the nature of this mysterious signal. Could a comet have been to blame for the mysterious Wow! signal? Image: NASA. The saga of the Wow! signal dates back to 1977, when a SETI (Search for Extraterrestrial Intelligence) survey being conducted at the Big Ear radio telescope at Ohio State University Radio Observatory detected a powerful but unexplained burst of radio waves coming from the general direction of the constellation Sagittarius. The signal was at 1420MHz, which is the frequency of the 21cm wavelength radio waves emitted by neutral hydrogen in space. So the logic goes, any intelligent life out there transmitting signals for us to hear would know that our astronomers will be studying galactic hydrogen at 21cm and therefore be guaranteed to detect their signal. 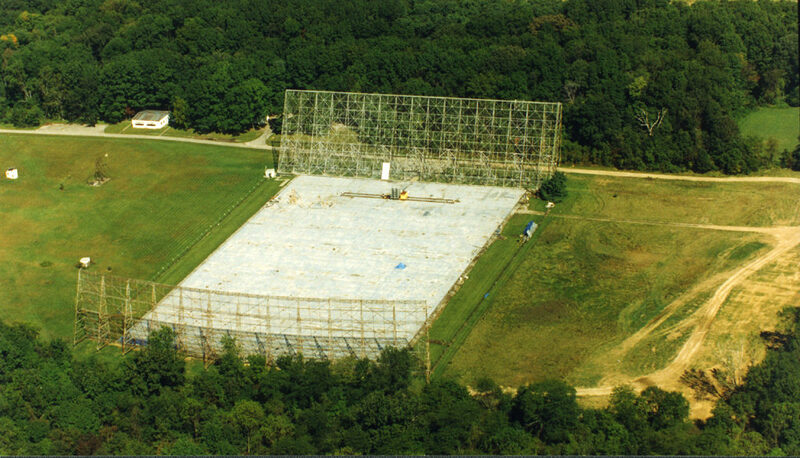 Hence, the Big Ear’s survey was conducted at 1420MHz/21cm. The print-out from the Big Ear telescope that shows the Wow! signal. The numbers and letters refer to the intensity of the radio signal. Intensities above 9 are given by a letter. The signal reached a peak intensity (denoted by ‘U’) that was thirty times stronger than the background noise. Astronomer Jerry Ehman scribbled ‘Wow!’ in the margin upon seeing the signal and the name and the signal entered folklore. Image: Big Ear Radio Observatory/NAAPO. Now Antonio Paris of St Petersburg College in Florida and the Center for Planetary Science, which is a non-profit research organisation based in the United States, has published new results which he argues proves that the Wow! signal was actually produced by a comet that was in the vicinity at the time. 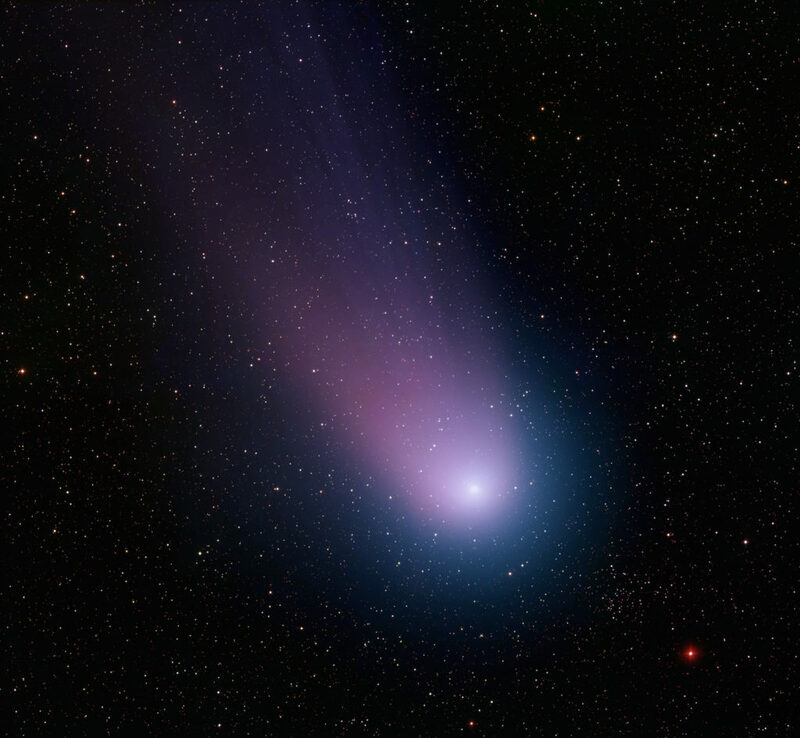 Paris followed up on this comet, 266/P Christensen, and performed radio observations with a dedicated ten-metre radio telescope to test his theory. Writing in the Journal of the Washington Academy of Sciences, he confirms that his experiment did indeed detect a signal of 1420MHz from the comet. However, not everyone is convinced. Alan Fitzsimmons, an astronomer at Queens University Belfast who specialises in studying comets, dismisses Paris’ conclusion as “rubbish.” Aside from the fact that 1420MHz emission has never been detected from a comet before, Fitzsimmons points out that 266/P Christensen is a fairly quiet comet even at perihelion (its closest point to the Sun, which in Christensen’s case is over twice as far from the Sun as Earth, or 2.3 astronomical units). Seth Shostak, who is the Senior Astronomer at the SETI Institute in California, agrees with Fitzsimmons. “I don’t know of any detection of the 21cm line of neutral hydrogen from a comet, and as I used to study galaxies in the neutral hydrogen line, I probably would have heard of that,” he says. Another problem with the comet theory is that on 15 August 1977, the day that the Wow! signal was detected, the comet was in the wrong place. Bob Dixon, who was Director of the Ohio State University Radio Observatory at the time the Wow! signal was detected, points out that 266/P Christensen’s location was RA 18h 32m 15s, Declination –27º 22’, whereas the Wow! signal was either located at RA 19h 25m 31s, Declination –26º 57’, or RA 19h 28m 22s. Either way, 266/P Christensen would have been visible to the Big Ear 55 minutes earlier instead. The uncertainty in the right ascension coordinates comes from the peculiarities of the Big Ear telescope. Rather than a traditional dish-like telescope, the Big Ear was composed of two reflectors stood on their sides, one flat and tilting, the other paraboloidal, either side of an aluminium plane on the ground that was larger than three football fields. The sky would rotate overhead in right ascension and radio waves would bounce off the reflectors and into two ‘feed horns’ that were the telescope’s detectors. Because the two feed horns were separated by 40 arcminutes in angular distance, a radio source passing overhead in the sky would appear in one horn, then disappear for 70 seconds of time, before reappearing in the second horn. The Big Ear radio telescope. Unfortunately the telescope was demolished in 1998. Image: Big Ear Radio Observatory/NAAPO. Curiously, the Wow! signal was only detected by one of the feed horns and, because of the way the data was collected and analysed, it was impossible to tell which feed horn that was. This means that the signal either switched itself on or off during those 70 seconds that it was between horns. Either it was a transient signal from some unknown astrophysical phenomenon, or the aliens turned their transmitter on or off during that 70 seconds gap. Paris admits that this comet theory cannot explain why the signal was only seen in one feed horn. Although comets are constantly moving through the sky, unlike fixed objects such as stars, they do not move fast enough to have moved out of the line of sight of the Big Ear in just 70 seconds. Bob Dixon strongly disputes the idea that there was a technical fault. “Our telescope was working perfectly normally at the time and other radio astronomical objects on the same day were observed in both beams [into both horns],” he tells Astronomy Now. Despite the triple whammy of comets not being known to emit at 1420MHz, the unexplained detection by only one feed horn and the fact that 266/P Christensen was not in the correct location for the Wow! signal, Paris is nevertheless pushing ahead with his theory. He describes his work as a three-stage project. The first stage was the development of his hypothesis, the second stage was his radio observations that he has now published, and his third stage, which he hopes to publish in 2018, is an explanation of a mechanism describing why we would detect such strong neutral hydrogen emission from a comet, particularly one as inactive as 266/P Christensen. Regarding the criticisms of his theory, the unflappable Paris is not concerned. 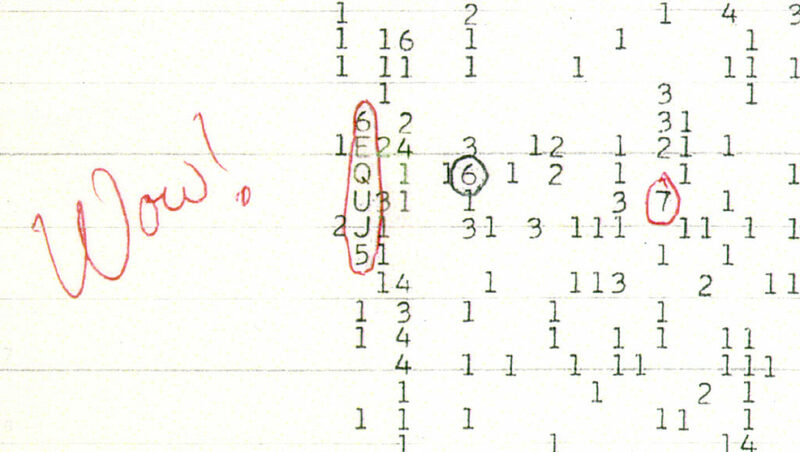 “I suspect that SETI, who have used the Wow! signal as a source of revenue, are nervous,” he says. However, this is disputed by the fact that Shostak and his fellow scientists in the SETI community have frequently talked down the importance of the Wow! signal, pointing out that their experiments find signals like the Wow! signal, in that they are transient and never seen to repeat, all the time. This August will see the fortieth anniversary of the Wow! signal, a milestone that will bring this mysterious signal, which has entered SETI folklore, into the media spotlight once again. Part of its enduring allure is the possibility that we will never really find out what it was, whether it was extraterrestrial intelligence or an unknown astrophysical phenomenon.